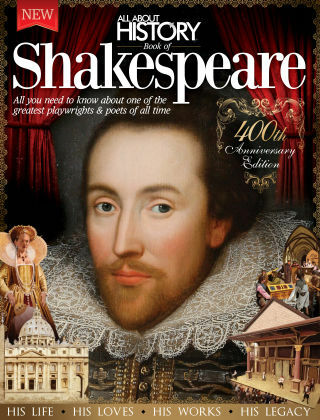 With Readly you can read All About History Book of Shakespeare and thousands of other magazines on your tablet and smartphone. Get access to all with just one subscription. New releases and back issues – all included. Celebrate 450 years of Shakespeare and explore the life and works of one of the most influential playwrights of all time. William Shakespeare has undeniably left behind him a legacy of plays and poems that have not only been enjoyed by millions, but shaped the English language into what we know today. This book delves into the works of this legendary playwright, from his histories, comedies and tragedies to his thought-provoking sonnets.